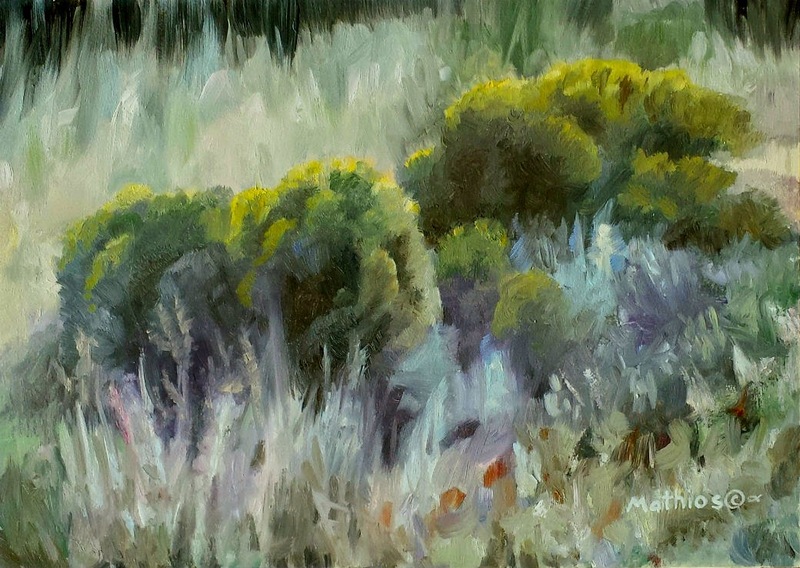 This is my first foray into oil painting - a study of rabbitbrush which is a common high desert shrub that always lends a pop of color to the arid landscape. I kept the style somewhat loose and painted fairly quickly. It is amazing how well oil paints blend compared to acrylics!